It’s always hard to follow a hit. 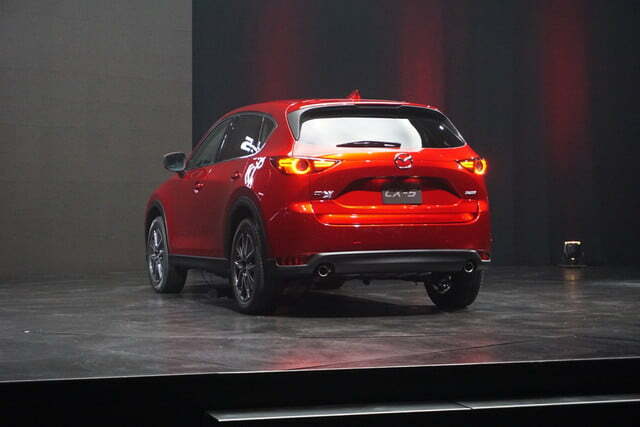 The current Mazda CX-5 has been a fairly successful model for the Japanese carmaker. 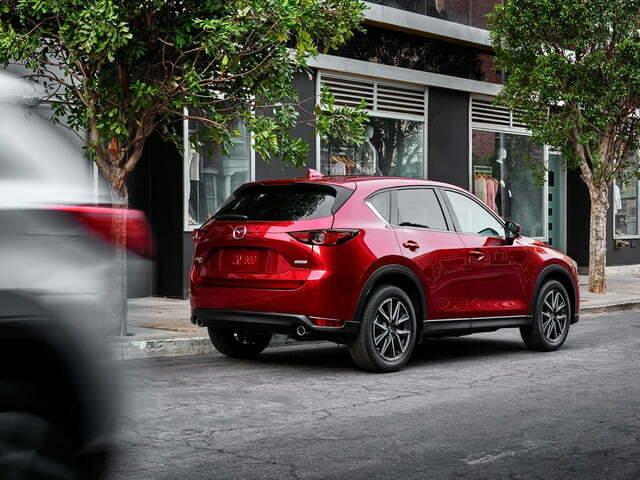 It has received positive reviews thanks to attractive styling and sporty driving dynamics, and helped Mazda ride the current wave of SUV popularity. 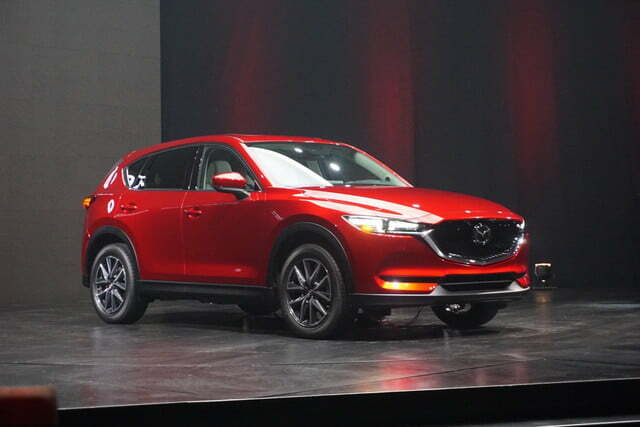 So the second-generation 2017 Mazda CX-5 unveiled at the 2016 Los Angeles Auto Show has a lot of work to do. 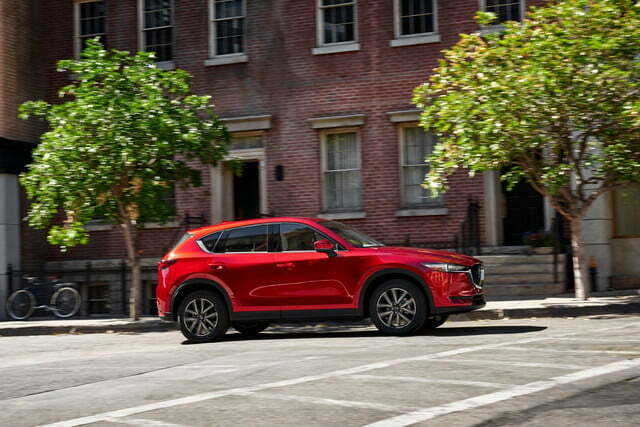 One of the plus points of the previous CX-5 was its styling, which is one of the first applications of Mazda’s “Kodo” design language. 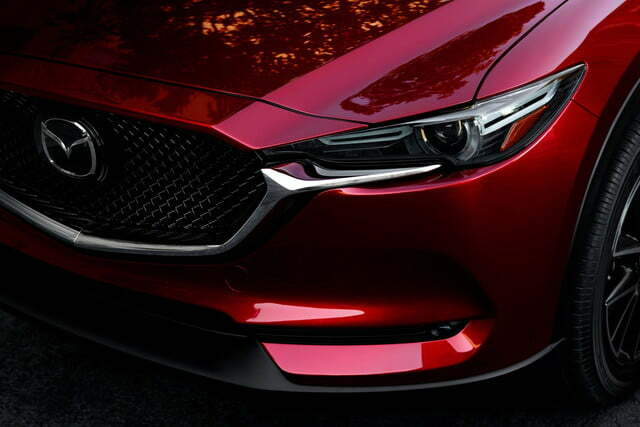 Its success may be why Mazda made relatively subtle changes to the new model. It’s a bit wider and lower than before, and wears the slimmer headlights and reshaped grille from the larger CX-9 SUV. 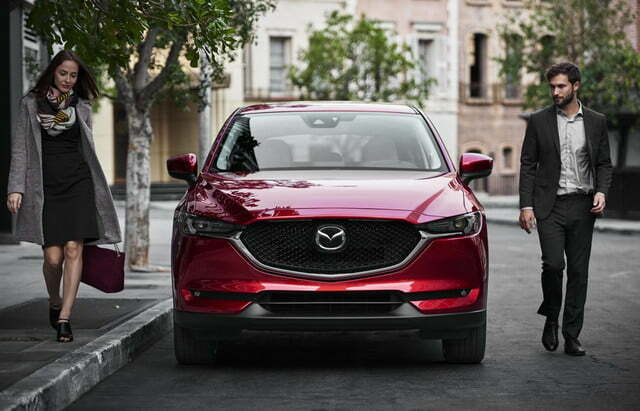 On the CX-5, that grille does look a bit like the one used on newer Acura models, though. Powertrain choices include 2.0-liter and 2.5-liter four-cylinder engines, both from Mazda’s Skyactiv line of efficiency-focused engines. 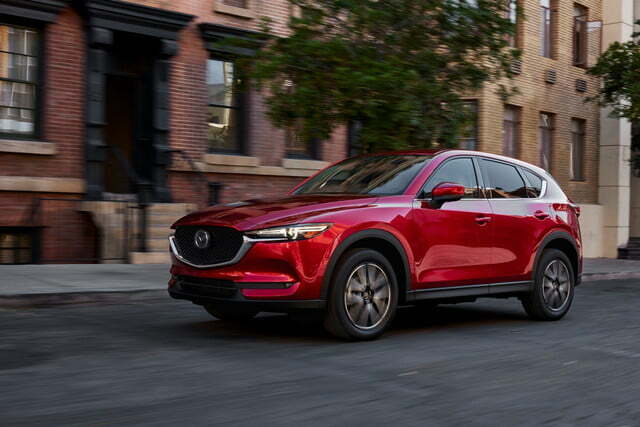 Mazda hasn’t quoted specifications, but they’ll likely match the output of the 2.0-liter and 2.5-liter engines in the current CX-5, which produce 155 horsepower and 184 hp, respectively. The 2017 CX-5 will be available in some markets with a 2.2-liter diesel four-cylinder, but that engine likely won’t be offered in the U.S. 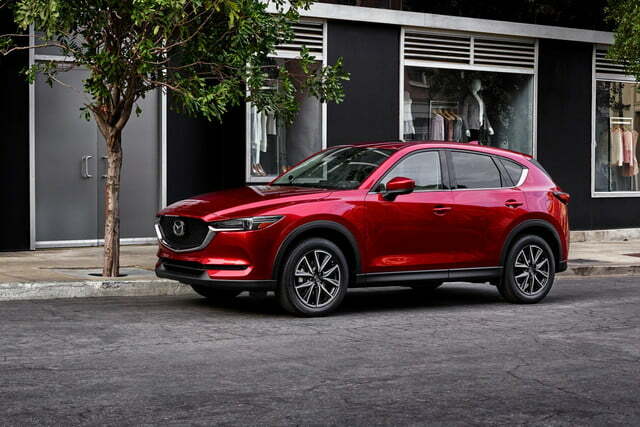 The CX-5 will be available with a six-speed automatic transmission or, unusually for a mainstream SUV, a six-speed manual. 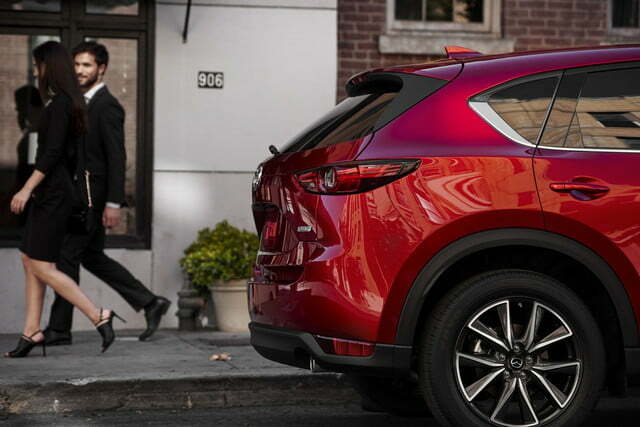 As in the current CX-5, the manual may only be available in base front-wheel drive models, though. 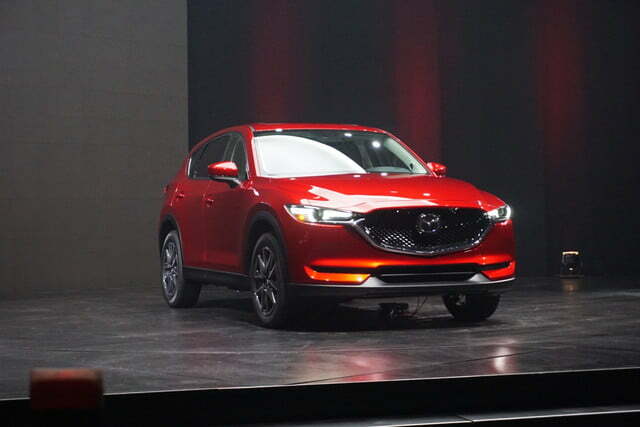 In addition to an optional all-wheel drive system, the CX-5 will get Mazda’s G-Vectoring Control. It adjusts torque in response to steering inputs, which Mazda says helps improve cornering by managing g-forces. 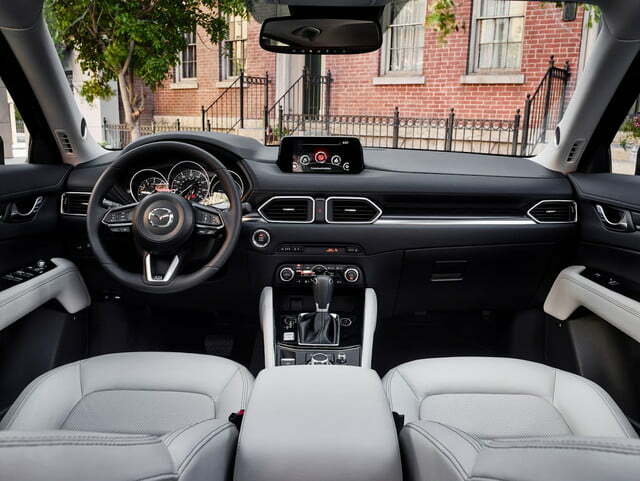 Inside the cockpit, Mazda moved the 7.0-inch display screen to the very top of the dashboard, which it claims reduces the amount of driver eye movement needed to look at it. 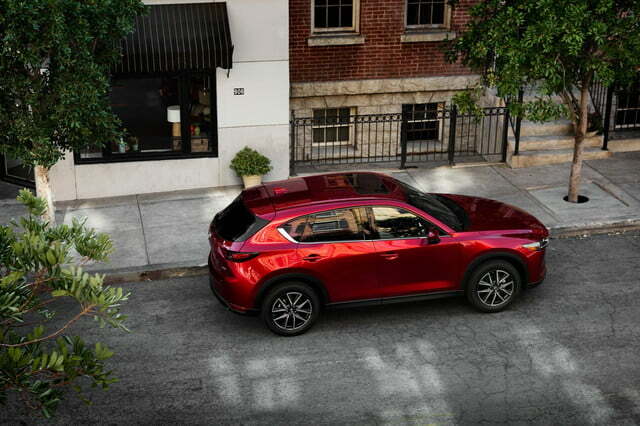 The CX-5 also features an “Active Driving Display” that projects information from the navigation system onto the windshield. 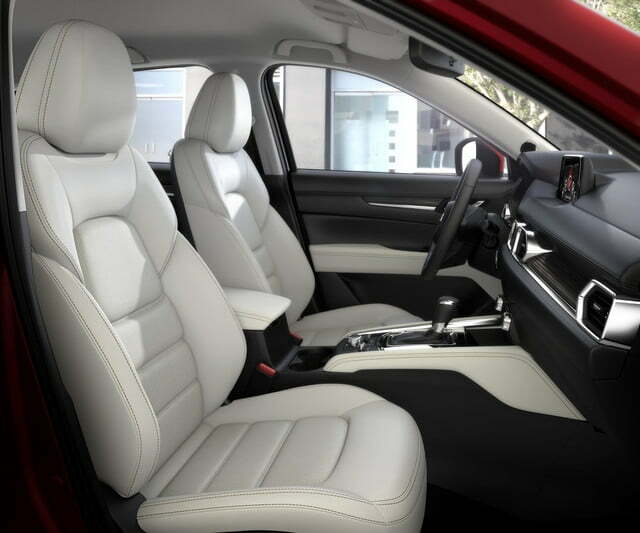 Other notable features include a 10-speaker Bose audio system and adaptive cruise control. 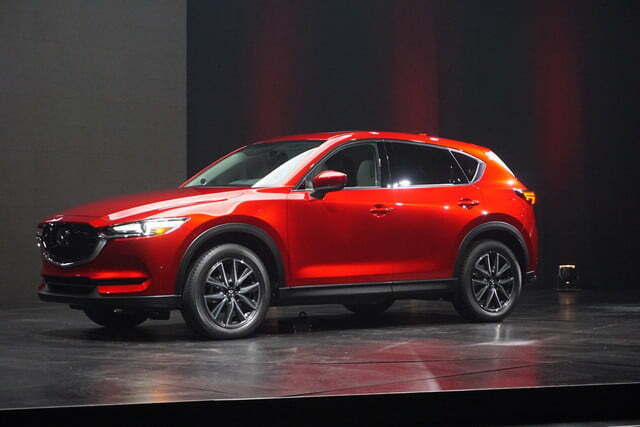 The 2017 Mazda CX-5 will launch in Japan in February, and arrive in the U.S. and other markets shortly after that. U.S. pricing information will be released closer to launch.